BENGALURU, India – May 28, 2015 – Swiss cabling specialist R&M today announced the expansion of Network Management System R&Minteliphy3.0. This new version R&MinteliPhy 3.0 includes an expanded multi-site function, allowing detailed information to be managed for all locations operated by the user. The system collects data, for example, on buildings, rooms, cabling, network cabinets, and other IT infrastructure features. The R&MinteliPhy hardware monitors the plug connections, racks and distributors on site. It sends port operating condition status reports via the internet to the server, which is equipped with R&MinteliPhy 3.0. 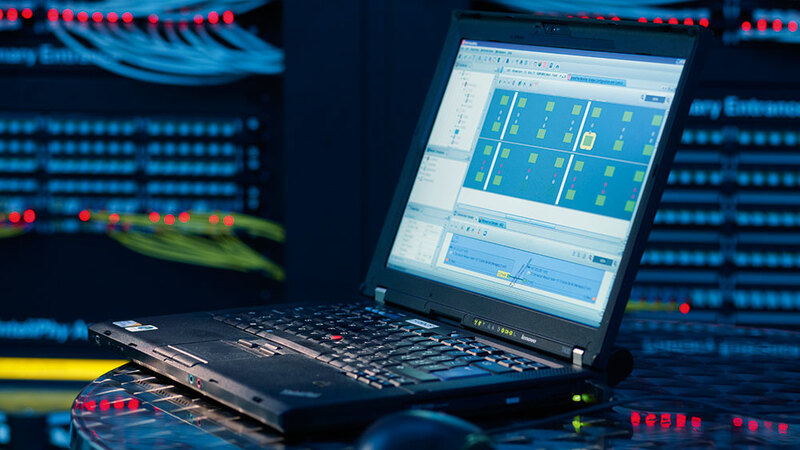 IT administrators can therefore monitor all areas of the company network or entire local data networks for clients without interruption and without having to be on site. Mr Gaurav Ahluwalia, Managing Director at R&M said, “IT managers working for large organizations are constantly worrying about whether the network is working at all locations. R&MinteliPhy allows IT managers to monitor every plug connection in real time, regardless of the location. This will benefit them in realtime tracking and monitoring of the network. They can also send work orders to technicians via the system“. R&MinteliPhy can detect the exact location of an interrupted plug connection, for example, allowing the on-site service staff to react more quickly and more precisely. Any free resources in the racks can be determined centrally and migrations can be planned universally. The locations are connected via encrypted standard internet connections. The automated infrastructure management system R&MinteliPhy can also be linked with geographical information systems (GIS). Data from public or private GIS servers, available digitized circuit boards and other location-specific data can be directly integrated. This helps network designers to plan the development and expansion of data networks with digital circuit boards. They are better able to orientate themselves and can find suitable network solutions for complex locations. Furthermore, R&MinteliPhy 3.0 supports the precise documentation of cabling in buildings and data centers, at company premises or other branches, across parts of a city or entire regions. This allows operators of broadband networks and real estate companies to centrally plan, manage and monitor their Fiber to the Home (FTTH) projects using R&MinteliPhy. R&M, a Swiss Company, offers high-performance cabling solutions for Cat. 5e, Cat. 6 and Cat. 6A systems. For fiber-optic cabling, R&M offers a complete range of cables and components for single-mode (OS1, OS2) and multi-mode (OM3, OM4) fiber optic systems. With direct presence in over 36 countries around the world and with 50 years of experience, R&M has earned the reputation of a quality leader that always offers added value, comprehensive warranty and excellent support. More information can be found on www.rdm.com. Mumbai, India – May 28, 2015-Creative Peripherals,one of India’s leading distribution network in IT, Imaging, Telecom and Lifestyle products, has been appointed as national distributor by TOTOLINK, Korea’s No. 1 brand for wireless networking devices. TOTOLINK is entering Indian market with this tie-up and gaining Indian consumer traction with their wide range of Wireless Routers, Range Extenders, Adapters and Switches. TOTOLINK have planned their distribution and marketing strategy with the help of Creative Peripherals who has vast experience in understanding the Indian consumer behaviour and market acceptance. The distribution will be primarily focused on Tier-II & Tier- III cities. Creative peripherals is supporting TOTOLINK by introducing region specific schemes and promotions. TOTOLINK is a brother brand of ipTime which is no.1 in South Korea, having over 82% market share. It offers WiFi router, WiFi USB adapter, Switches, WiFi range extender, etc. full range of network devices with stylish design, user friendly settings and smart & useful features. BENGALURU, India – May 27, 2015 – Array Networks Inc., a global leader in application delivery networking, today announced that they have bagged a defence order worth $250,000 for WAN Optimization and Access Gateways (SSL VPN) solutions. The project involves improving the network performance in remote locations, securing critical operational data and enabling VSAT deployments. Array Networks have constituted a focused team and will be working very closely with partners and technical establishments specializing in the defence sector to provide the best technology available. The company aims to derive at least 25% of their revenues from this sector in the near future. Defence and military forces increasingly require a reliable and secure communication infrastructure for transmitting critical applications and data to remote areas. They usually face challenges in accessing confidential data via mobile networks. The nature of work also makes it tough to securely share information across different locations and respond quickly to queries. Array Networks would address such issues related to improving network performance and enhancing the speed of communication in these areas, while ensuring the highest levels of security. Array Networks’ ultra-secure SSL VPN based gateways with machine-based and two-factor authentication will be implemented in a few divisions to securely share applications and data. In addition, they will offer network acceleration for some of the very critical mobile installations, helping them accelerate all mobile-based activities in remote areas. Array will deploy WAN optimization, SSL VPN and secure remote access solutions to support military and civil protection forces. This would help them enhance network performance and efficiency. Array Networks will also focus on improving WAN speed to achieve faster communications. It is the best solution for the basic personal computer with limited system power budget towards upgrade. GeForce GTX graphics is the solution. Gainward GeForce GTX 750 Ti and 750 series leads by GTX 750 Ti “Golden Sample”, which is factory over-clocked at 1202MHz base clock (1281MHz boost clock) and 3004MHz memory clock speed. With 180MHz over-clocking speed, Gainward GTX 750 Ti “GS” performs up 15% more than NV’s GTX 750 Ti reference clock speed under games and benchmark score. To compete with AMD’s R7 260X, it wins for almost all popular games not only the frame rates but consumes only 52% power. The Gainward GTX 750 Ti and GTX 750 are all factory over-clocked, with 65MHz more than NV’s reference clock, offer better C/P value for your choice. EXPERTool utility adds support for new fan control feature, allows users to change fan curve by their requirement. The new NVIDIA driver brings GeForce Experience and Shadowplay for the gamers to enjoy the best gaming environment and share their greatest gaming moments. With NVIDIA Gamestream technology and NVIDIA Gameworks, the PC gaming has come into the next generation with the whole GeForce GTX graphics. 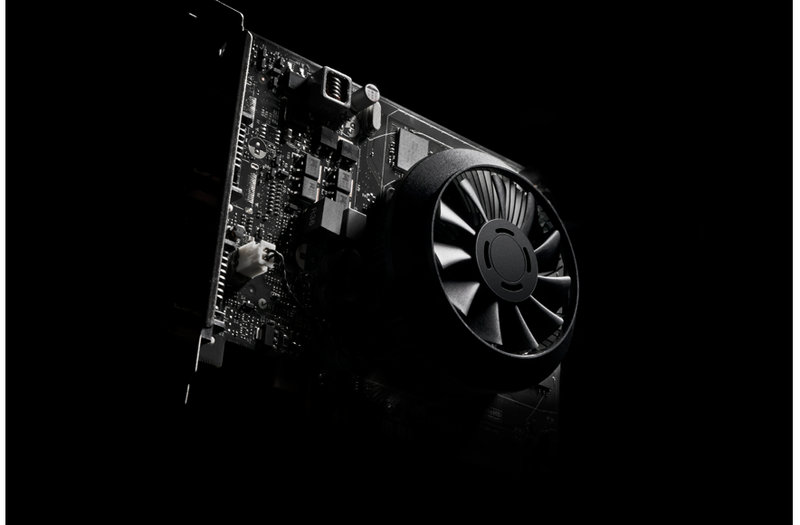 With Gainward superior design for the GeForce GTX gaming GPUs and NVIDIA technology, users will experience a whole new class of entry and enjoy exceptional fill of the performance enhanced and quieter game play. BENGALURU, India – May 21, 2015 – NetRack, a leading solutions provider for data centers and end-to-end IT server racks, announced that they have achieved 50% growth in FY 2014-15. At the end of this financial year, NetRack has added 110 customers from across different industry verticals including IT/ ITeS, BFSI, Government, Hospitality, Data Centers and Engineering Labs. A large part of this growth was contributed by IT/ ITeS and BFSI sectors at 30%. This was followed by hospitality, government & engineering labs contributing to about 20%. The other industry verticals addressed by NetRack were Telecom and Healthcare. The industry continued to deploy new data centers, server and networking racks, labs which has turned out to be one of the biggest growth drivers for NetRack.They are known for offering new technology and eco-friendly products which comes with the capability of reducing the amount of emissions that are indirectly produced, helping IT industry to meet the emerging challenges. NetRack is well versed with emerging technologies and has developed newer products that offer enhanced performance, scalability and render better ROI to customers. NetRack strengthened its focus to meet the competitive market strategies with its end-to-end solution. NetRack aims to continue this growth momentum and has set its growth target for 2015-16 at 75%. The company will continue to focus on maintaining a strong customer relationship and implementing a unique solutions selling approach. NetRack Enclosures Pvt. Ltd., foresees itself as a single window solutions provider for all data, network and server related concerns. NetRack Enclosure mission is to deliver time bound quality products that are superiorly designed and precision engineered to perfection, to help the customers overcome their constraints while enabling scalability and increased performance at a reduced cost. NetRack guarantees to offer its clients good customer support services for problem solving and better relations. Improved customer relations, employee welfare and transformation at all levels to achieve more than what we have achieved so far. The company wishes to upgrade itself through research and development of newer technologies for enhanced performance, scalability and cost effective products to cut costs to the customer. To know more, please visit www.netrackindia.com. You are currently browsing the CHANGE AGENTS PR blog archives for May, 2015.